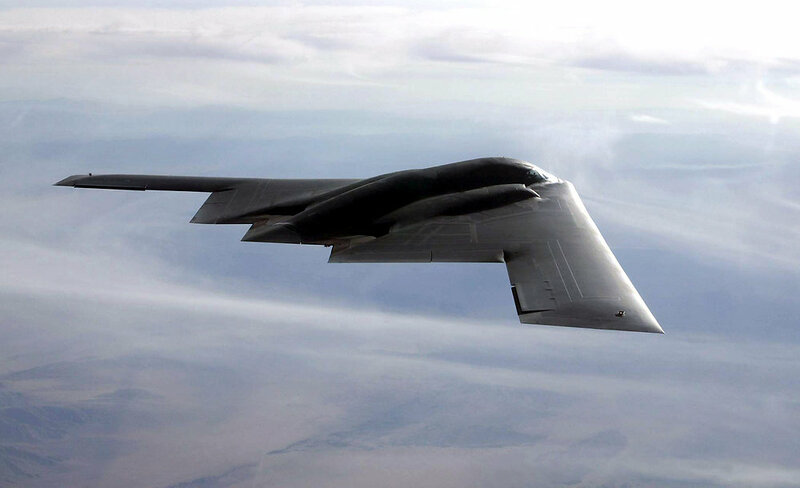 The B-2 Spirit bomber, with its radar-evading stealth technology is a versatile multi-role bomber, that can deliver a variety of munition types to targets around the world. Incremental technology refreshes on the B-2 Adaptable Communications Suite provide the latest advances in commercially available electronics. Planners sought rugged server and display options to meet mission critical requirements for high reliability and dependability. Crystal Group’s RS112 Rugged 1U Server, RS112PS18M Rugged 1U Carbon Fiber Server and RD1119 Rugged Display provided the latest in rugged computer and display technology. Coupled with customer centered responsiveness the solution set resulted in enhanced communication and control capabilities with easier maintenance access which helps keep the aircraft mission-ready. Improved SWaP provides less weight, less power consumption, and smaller form factor size. Customized equipment for demanding mission profiles. Ability to function in a variety of conditions and environments. Accessibility to responsive customer support. The RS112 Rugged 1U Server meets Military Stardards 810, 167-1, and 901 with high-end computing performance. The RD1119 Rugged Display is designed for airborne, shipboard, and land-based applications. The low specular reflectance and high brightness LCD displays yield excellent high ambient contrast. This case study is for informational purposes only. Crystal Group makes no warranties, expressed or implied in this summary. All trademarks are properties of their respective owners. Design and specifications are subject to change. The U.S. Air Force’s B-2 Spirit stealth bomber is a multi-role heavy bomber capable of delivering conventional and nuclear firepower to any worldwide target by slipping past hostile radar undetected. Since its introduction in 1989, the B-2 and its support systems have undergone incremental technology refreshes to keep the aircraft up-to-date and mission ready with the latest advancements including enhanced communication abilities. Technology upgrades are necessary to improve the B-2’s effectiveness including its ability to receive encrypted mission information and to communicate with commanders worldwide during the mission. Mission-critical systems, like the B-2’s Adaptable Communications Suite (ACS) typically require long-term compute availability with the highest degree of dependability in order to support the aircraft’s communications capability and combat effectiveness. Rugged computing systems are designed to allow reliable operation in unforgiving environments, such as extreme temperatures, strong vibrations, and humid or dry settings. Upgrading the aircraft’s ACS to address obsolescence started with the Air Force seeking technically advanced, rugged computer systems that reliably operate in a variety of aerial and ground environments with attention to compactness, lightweight construction and ease of access. Crystal Group worked closely with the Air Force to provide rugged compute capability while meeting project timing, security and performance mandates for onboard and ground station computers and displays. As part of the ACS upgrade, Crystal Group supplied a variety of products, including the RS112 1U Rugged Server, RS112PS18M Rugged 1U Carbon Fiber Server and the RD1119 Rugged Display. The equipment upgrade delivers technology that ensures the B-2 fleet meets current and future communications requirements, giving it the ability to opearte in multiple mission profiles around the world. 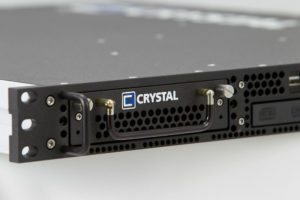 Crystal Group’s RS112 Rugged 1U Server is available with two removable 3.5″ drives or four removable 2.5″ drive bays. Crystal Group’s RS112PS18M Rugged 1U Carbon Fiber Server features ultra light weight carbon fiber construction with four 2.5″ drive bays. The RS112 Rugged 1U Server is designed in accordance with MIL Standards 810, 167-1 and MIL-S- 901. With a lightweight aluminum chassis and a 20” depth, the unit is optimally designed for SWaP-sensitive applications. The RS112PS18M Rugged 1U Carbon Fiber Server offers additional weight savings and a reduced 18” depth. Both rugged servers feature one expansion slot and leading edge Intel® CPU options. The systems’ modularity allows for easy reconfiguration and versatility. The units provide less weight, less power consumption, and a smaller size that conforms to flexible architecture configurations. In addition to the rugged servers, Crystal Group supplied the RD1119 Rugged Display for non-flight operational duty. The RD1119 features a 19” display in EIA 1U drawer with SXGA resolution. The LCD display offers 1,000 nit light intensity, low reflectance screen, high ambient contrast and full color. A special cover glass screen provides high transmissibility and low reflectance to improve sunlight readability. Crystal Group Inc., an employee-owned small business located in Hiawatha, Iowa, USA, designs and manufactures deployment-ready, rugged servers, displays, networking devices, embedded systems, and storage devices that fit mission critical and industrial applications. 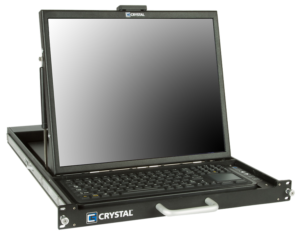 Crystal Group’s rugged servers and electronic devices are powerful solutions ready for future expansion whether it’s for a more versatile software application, harsh environment, or demanding performance standard.